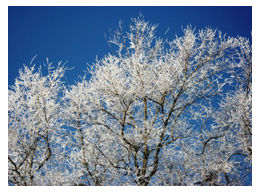 Do You Have Ice Storm Tree Damage? Another winter storm has just passed through Atlanta, complete with snow, sleet and ice storm warnings. And while Atlanta may have gotten through relatively unscathed, north metro Atlantans should be assessing their properties for any ice storm tree damage. Get outside and take a look at your trees today, but be extremely cautious. Be especially alert for downed power lines and dangling limbs! If you’re not sure about something, call a professional. While initially beautiful to look at, ice accumulation on tree branches is a very harmful element that can damage your trees and your property. Coupled with high winds, you have a recipe for falling branches and debris. And with soggy ground, your trees become very prone to toppling under these conditions. Take a moment to get outside today to inspect your trees for ice storm damage. Inspect tree limbs and branches around power lines. Six feet is the recommended distance from power lines, structures and buildings. Trust trimming near power lines to professionals. If you have any ice storm tree damage questions or service needs, please give us a call at Atlanta Tree Professionals. We are tree service experts serving north metro Atlanta.